Thanks to the Vidalia Onion Committee for sponsoring this post! All opinions are completely my own, of course! Psssst…stay until the end for a giveaway! The Vidalia was the original sweet onion. It has been grown for over 80 years: Back in Depression-Era Georgia, farmers discovered that the onions that they grew in the sandy Georgia soil weren’t hot! 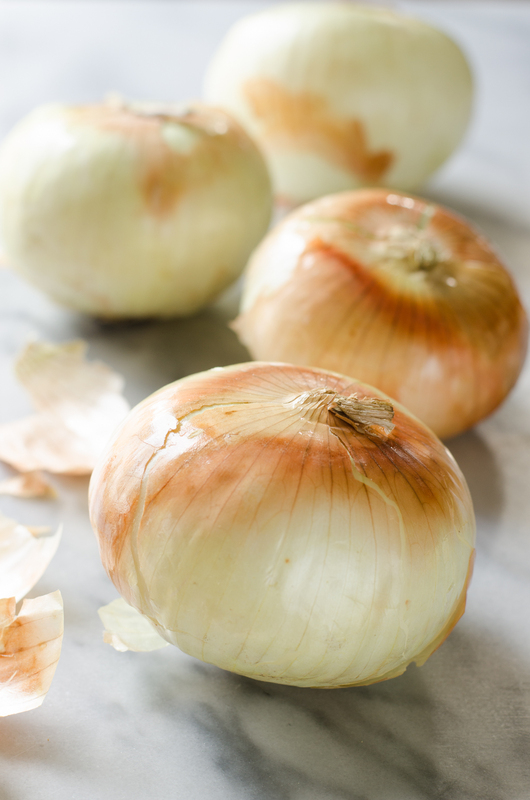 Vidalia onions contain Vitamin C, Vitamin B6, Folate, Manganese, Potassium, and more! They also contain antioxidants and sulfur compounds, which help to fight cancer. Onions also help to keep your heart healthy, your bones strong, prevent diabetes, and more! Vidalia onions have a relatively short season. They are grown over the winter, and are available April through August. You can grab a bag while they’re in season and store for the long term as described below. For short-term storage, keep them in a cool, dry, dark place. I like to store mine in a cool cupboard. You can also store them in clean pantyhose – simply tie a knot between each onion, hang in a cool dry place, and snip one off as needed. For longer storage, you can wrap them individually in paper towels and put them in a drawer in your refrigerator. You can also freeze onions. Either chop and freeze on a baking sheet before transferring to freezer bags, or peel, wash, core, and freeze whole! You want to make sure to use frozen onions for cooking (not consuming raw) because freezing changes their texture. Vidalia onions are so versatile. 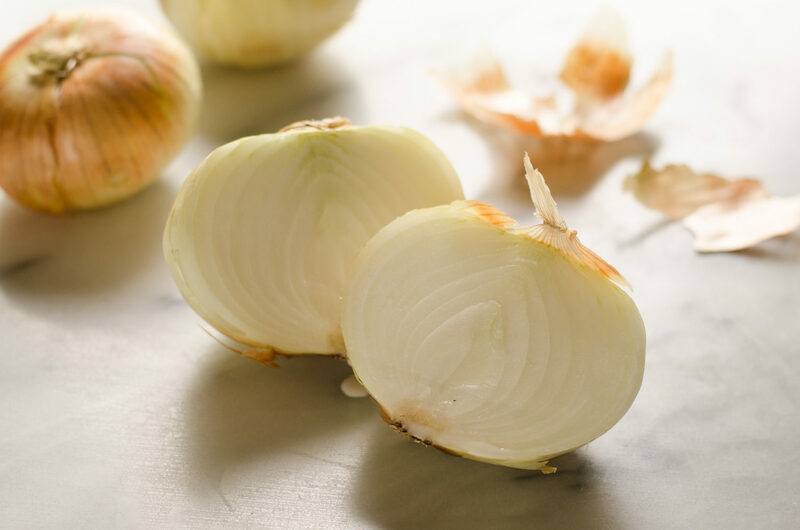 You can use them raw in place of other onion varieties if you want to avoid a super punchy, hot onion flavor in your dish. If you sauté them they become ever-so-sweet. You can also roast them whole. And, believe it or not, you can use them in desserts. Yes, in desserts! I have an awesome fried onion bacon mac and cheese recipe I’m going to share with you soon. Be excited. Be VERY excited! If you can find organic Vidalia onions in your store, definitely choose them! 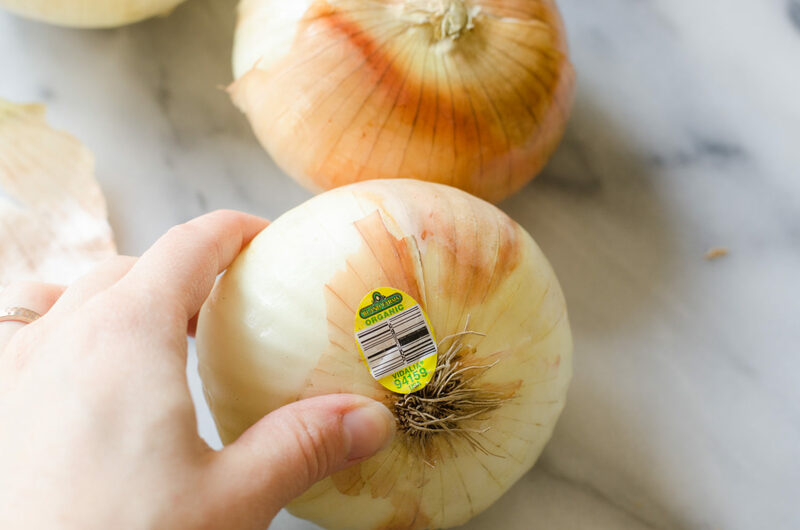 However, if you can’t locate any, be aware that onions are on the Clean 15, so they have some of the lowest pesticide residue of any produce on the market. 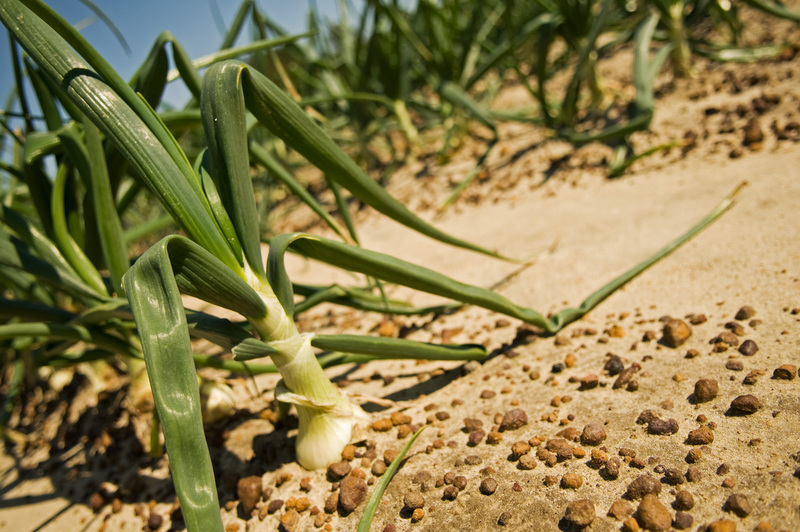 Vidalia onions are planted by hand, and less than 2% are mechanically harvested! You can learn more about Vidalia onions at vidaliaonion.org. You can also check out their Instagram, Facebook, and Pinterest for inspiration! If you’d like to get your hands on some organic Vidalia onions, be sure to enter the giveaway below! 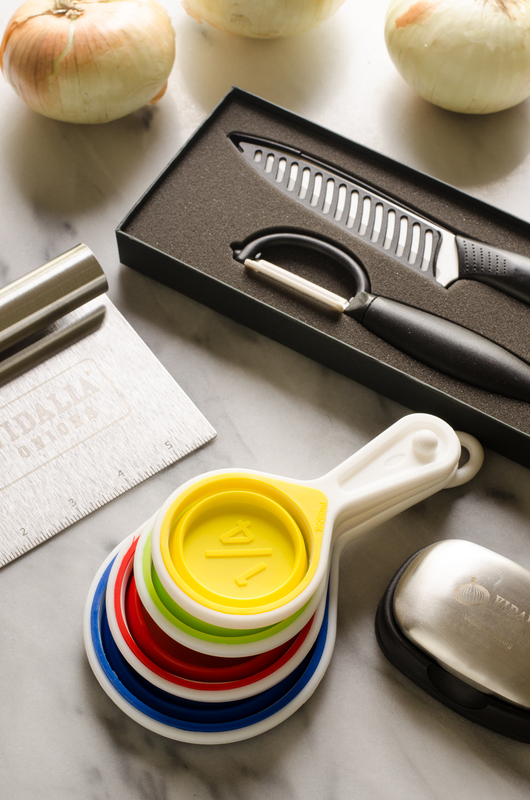 Not only will you receive a box of beautiful organic Vidalia onions, you’ll also get a set of collapsible measuring cups, a stainless steel bench scraper, a ceramic vegetable peeler and pairing knife, and a stainless steel hand deodorizer! Anyone is welcome to enter, even my international readers! Giveaway will run Wednesday, May 24 – Wednesday, May 31. One winner will be selected at random and the winner will be announced here on Buttered Side Up. Please provide your actual email address so that I can contact you if you win! If the winner does not respond within 72 hours, I will choose a new winner. Okay, that’s it! Good luck! Never cooked with them. Excited to see the new recipe! I've never been able to find them in stores – might be easier now that I know when they're in season. I grew up in Georgia and we always celebrated the arrival of Vidalia onion season! I love them! They are the best on a grilled hamburger in summer! I've cooked with them,can't remember a specific recipe. They are good! Vidalia onions are my go to when they're in the store. I love them in everything, but something that's a little different is liver and onions with bacon. Delicious! Looking forward to the man and cheese recipe. Also, I'd be interested in a dessert recipe, sounds interesting, yet delicious, because I love onions!! I've never cooked with Vidalia onions myself, but I have eaten my share at restaurants and friends' houses. Usually they have been sauteed and eaten atop hamburgers during the summer! My Dad always made bratwurst cooked in sauerkraut and Vidalia onions, we love it! And they make amazing onion rings! 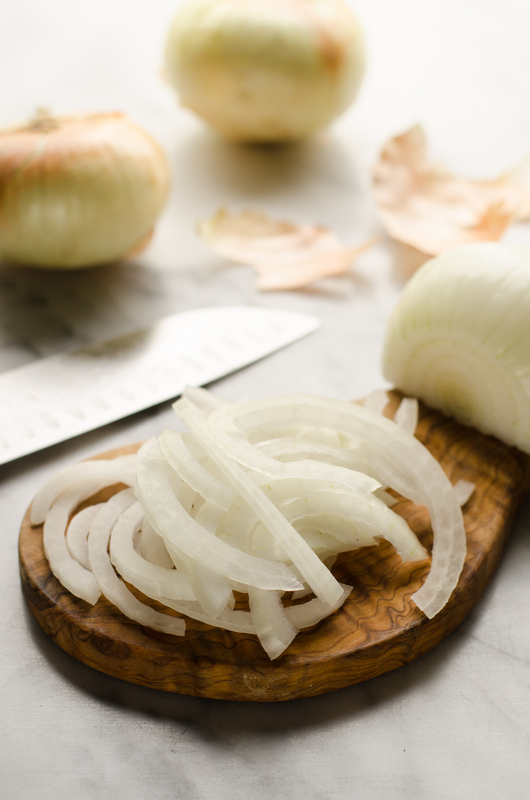 I love cooking with vidalia onions – they are my favorite! I usually caramelize them or add them to a quiche! I love onions and growing up I always remember my dad (who also loved onions) rave about vidalias! I eat them in salads, on burgers, roasted with other veggies. These were a staple of my childhood. Growing up, I have plenty of memories of my mom pushing the shopping cart through the produce section on the prowl for Vidalias. She was so determined on her quests for them that when I was really little they had an almost mythical quality in my mind–those SPECIAL onions! Next to Maui onions, Vidalias are my favorite for a sweet, crisp onion for eating raw in salads or on hamburgers and sausages, or dipped in batter and fried into onion rings. They are also excellent cooked in chopped liver or onion jam. Vidalias are the best! So delicious cooked down. I love using Vidalias in salsa–gives a sweet touch to balance the heat and no heartburn! I haven't cooked with them yet but would love to! I put them in everything in season, raw or cooked, can even fool my husband, who hates onions, with them. Never tried them, thank you! I love Vidalia onions. I use them in everything! Nothing like a good sweet onion. I also enjoyed reading the article you posted. Very interesting. I never knew they were grown in Georgia. Ive never cooked with them. But would love to once I find a great recipe. I am from Europe, yes, I loooooove vidalia onions!!! I love Vidalia onions and my favorite thing to make with them is perogi casserole.